Mumbai, December 1: Today is World AIDS Day. The idea to set aside a day for AIDS was first conceived in 1987 after the virus that causes AIDS was first detected in 1986 in India. The WHO in 1988 declared December, 1 every year as World AIDS Day. The day is being observed worldwide to raise awareness, educate and inform people on ways of preventing the disease. 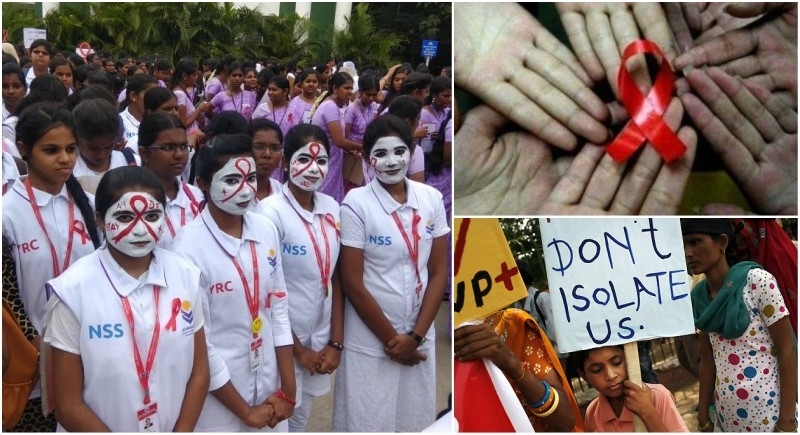 The HIV testing and counselling services remain low in India, and the only reason is fear of discrimination and breach of confidentiality results among the affected persons. So here is a good news. After some months, one can be able to do HIV testing at home, if one has doubt that he/she is infected with HIV or not. For this, various awareness programs are carried out in the whole nation like students participated in an awareness rally organised in Coimbatore today. This year's theme is 'Know Your Status', encouraging people to get them tested for HIV. CISF personnel of CISF Unit ASG Mangalore participated in Mini Marathon organsied to raise awareness about HIV/AIDS.